Are you looking for a Father’s Day gift? Consider one of these VR / 360 presents for dads of any age. There’s something for any budget! 1. 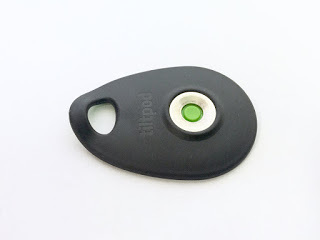 Tiltpod ($5). 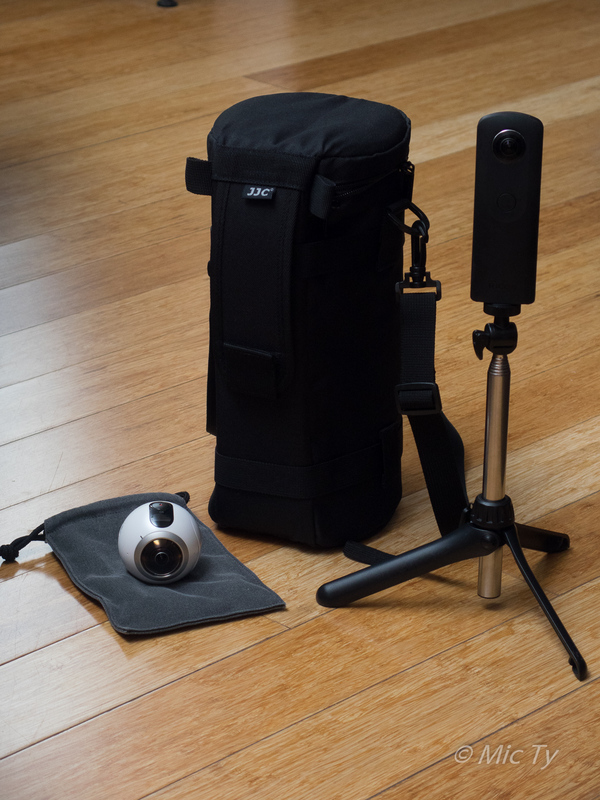 This pocketable “tripod” can help your dad position his 360-degree (or other compact camera). Review here. 2. JJC DLP-7 Camera Bag ($25). This extra-tall camera bag can accommodate a 360-degree camera and a selfie stick. It’s also great if he has a long lens such as a 70-200. Smaller versions of this bag are available. Review here. 3. 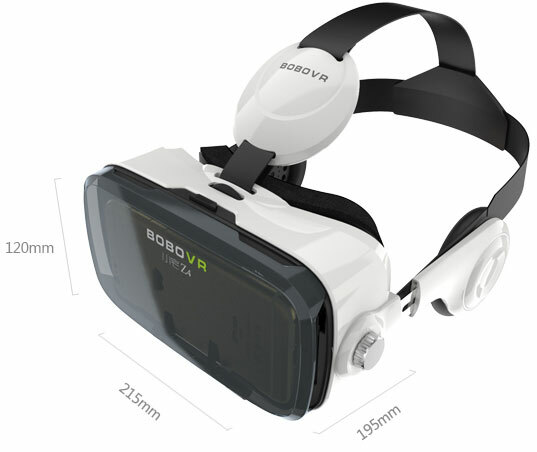 BoboVR Z4 headset ($40 to $50). The Bobo Z4 is a Google Cardboard headset. What makes it different from other Cardboard viewers is that it has an unmatched field of view of 120 degrees. Besides that, it has built-in headphones and is comfortable to wear. 4. Samsung Gear VR ($99). If your dad has a compatible Samsung phone, this would be the perfect VR headset. The Gear VR is in an entirely different class from Google Cardboard (despite similar appearance) and is much more immersive than any Google Cardboard viewer due to the extremely accurate tracking. Detailed review here. The Gear VR is compatible only with the Samsung Galaxy S7, S7 edge, Note5, S6 edge+, S6, S6 edge. *Note5 and S6 edge+ may require software update. 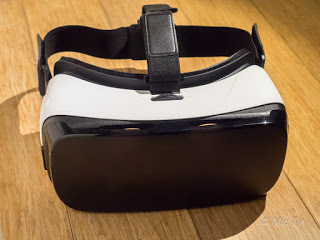 Note that there are older versions of the Gear VR called the Innovator Edition which has a white plastic piece in the forehead area. This version was designed for the S6 (or S7), and is not compatible with the Note 5, S6 edge+, S6 edge, or S7 edge. 5. LG 360 Cam ($199). 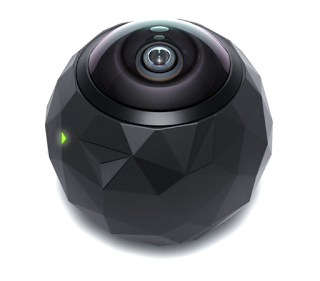 This is a fully spherical 360-degree camera. Although it is the most affordable spherical 360-degree camera, it actually has pretty good specs, including 16mp photos and 2k video with 5.1 channel sound. It is compatible with both iOS and Android. Note: there are cheaper hemispherical 360-degree cameras on eBay and elsewhere but I recommend against them. 6. 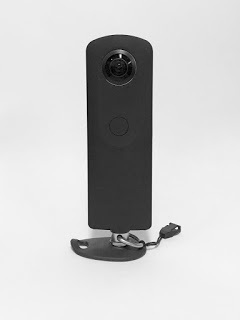 Ricoh Theta S ($350). This is the 360-degree camera that started it all (well actually it’s on its third generation). 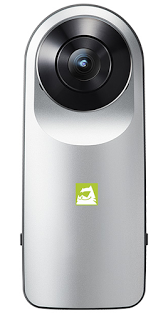 Its 1080p video resolution is now passé, but it still excels for 360-degree still photography. In addition, it is capable of livestreaming, unlike the LG 360 Cam or Samsung Gear 360. Here is a detailed review. 7. 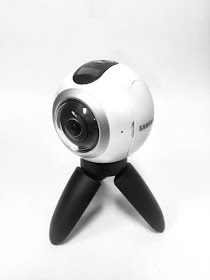 Samsung Gear 360 ($360 to 400 on eBay). This new spherical 360-degree camera is not yet available in the US but is already winning acclaim for its 4k video resolution and 30mp photos. 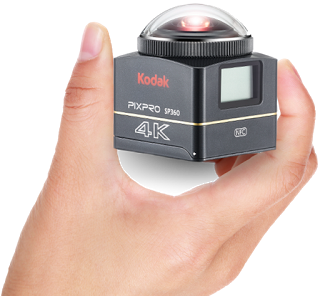 In a recent 360-degree camera shootout, Wall Street Journal called it the most balanced 360-degree camera for consumers. My first impressions here. However, please note that the Gear 360 is compatible only with the latest Samsung flagship phones: Samsung Galaxy S7, S7 edge, Note5, S6 edge+, S6, S6 edge. It is possible to use it without a smartphone, but the desktop stitching software is for PC only and is not compatible with older graphics cards. 8. 360fly 4k ($499). This is a hemispherical 4k 360-degree action camera that is water resistant. It also has livestreaming capability. You can livestream from anywhere with the 360fly 4k and the Livit app. 9. Kodak SP360 4k ($499). This is another 4k-capable hemispherical 360-degree camera. What makes it different is that there are many accessories to expand its capabilities. For example, there is a bracket and stitching software so that you can place two of them back to back for high quality spherical video. There is a waterproof housing for it (even a double housing for a pair of SP360 cameras). There is even an upcoming dual bracket to mount it to a 3DR Solo drone for nearly effortless aerial 360 videos. Here are comparison videos between the SP360 4k dual pro pack ($899) and the Samsung Gear 360. 10. Oculus Rift ($599). The Oculus Rift is probably the most widely recognized VR system. Oculus is now owned by Facebook, which means that there will be plenty of resources to support the Rift. Note: this requires a VR-ready PC. 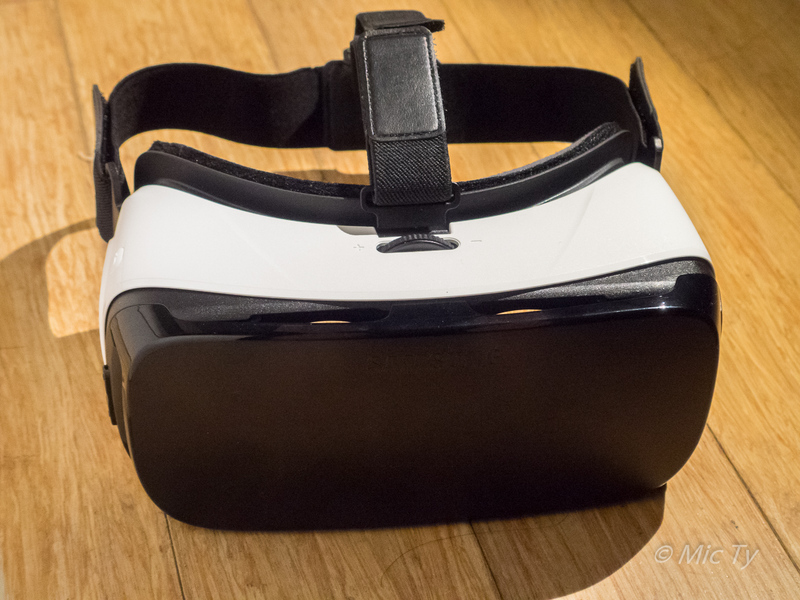 Here are my first impressions from an Oculus Rift demo. 11. HTC Vive ($799). The HTC Vive is a VR system that costs a little more than the Rift but already includes motion controllers, and more importantly, is capable of room-scale VR (allowing you to move around a small area). Note: as with the Oculus Rift, this requires a VR-ready PC. 12. VR-Ready PC ($949 and up). When paired with a VR headset such as the Oculus Rift or HTC Vive, your dad can be one of the first to enjoy VR. At the time of this writing, there’s a sale right now on the HP Envy 750.